I feel like Netflix has been seriousy trying to up it's original content game with release after release of TV show after TV show and even the occasional full-length movie. But sheer volume isn't quite a guarantee of quality and with more and more releases it eels like there's a lot of mediocre content out there as well. Mindhunter stands out as a show that feels several tiers above the others and remains quite gripping, striking, and powerful. Sure the subject matter is a little dark, but then again I suppose the show does tap into our interests in subjects of this nature. And the creative team brought together an interesting collection of talent to bring this series to life that was really worth the investment, I feel. While not quite the same experience of House of Cards when we watched the first season, this show still felt rather refreshing in terms of subject matter but also somewhat familiar in terms of pacing and direction. And the combination of those two things helped make things feel pretty surreal at times or maybe just very, very real. 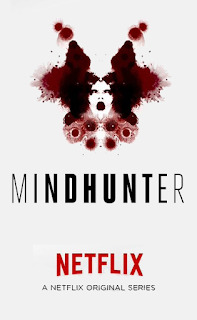 Synopsis: Mindhunter is an American crime drama series created by Joe Penhall for Netflix. Executive Producers for the show include Beth Kono, Charlize Theron, Joe Penhall, Ceán Chaffin, Joshua Donen, and David Fincher. 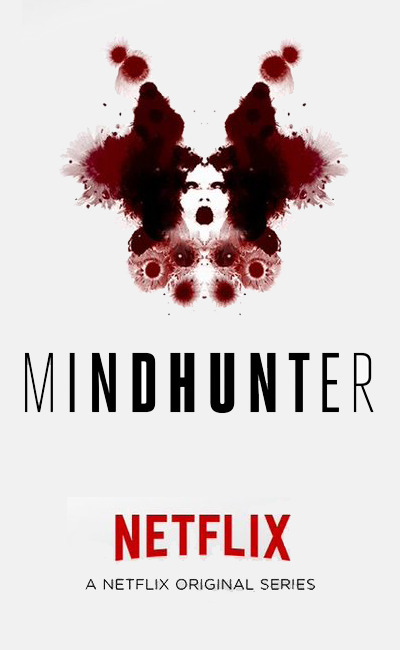 The show was based on Mindhunter: Inside the FBI's Elite Seriial Crime Unit by John E. Douglas and Mark Olshaker and has already been confirmed for a second season. It's 1977 and the term "serial killer" doesn't exist. Criminal psychology and crminal profiling are in their infancy as disciplines and exist more as theories among a few professionals here and there. The sseries focuses on two indivduals at the FBI - agents Holden Ford (Jonathan Groff) and Bill Tench (Holt McCallany). The two end up being the core of the FBI's Behavioral Science Unit that seeks to try to study and better understand the criminal mind to determine what makes criminals do what they do. Thus they conduct a series of interviews with various notorious killers to get their thoughts on their own crminal acts. What I Liked: The show dances close enough to reality to make things feel absoutely real despite inevitable television dressing up of things for dramatic effect. It's ability to balance things in this regard and use the truth in a way to tell fiction effectively can really be felt from start to finish. And credits to all the actors involved for doing a tremendous job given some very challenging roles with some pretty intense scenes to boot. The interviews with the various killers and how we get lots into these different stories of their crimes can be quite fascinating. Sure it's a lot of creepiness to be certain and we have some great performances bringing various serial killers to life on the small screen. But the fact that they creep you out is sort of a sign of just how good thing were. What Could Have Been Better: I wasn't too enamored by some of the depictions of Holden Ford's personal life. I understand that in the long run this was important to showing the impact of the whole interview process on Holden's thinking and way of behavior to other people. It did help depict this but maybe not all of those scenes were necessarily as important or necessary. I feel this wouldn't have been as muddy had they upped the b-story to a greater level of significance so it wouldn't feel weaker, maybe? The middle of the season bogs down a bit with a lot of inter-personal drama and complications outside their core investigation and research and that's neither here nor there. I guess I can only say that it does get a little difficult to slog through at times. The ending is still largely worth it, but it does take a bit of an effort to get there past the mid-way point. TL;DR: Mindhunter is a surprising new series that scratches a particular itch for some serious criminal drama. It's somewhat cerebral fare at times and one that tackles the difficult subject of serial killers and the way they see the world but to quite effectively as well. Thus the first season gets a great 4 rather chilling stories of various murders out of a possible 5.